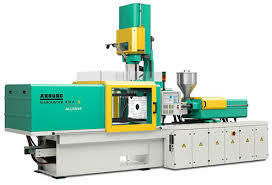 The revised standard applies to horizontal and vertical injection molding machines. WASHINGTON, D.C., February 24, 2017—The Plastics Industry Association (PLASTICS) announced today that its Machinery Safety Standards Committee has published the new voluntary standard establishing requirements for the manufacture and use of injection molding machines, which are the most commonly used machines in the manufacture of plastic products. After three years of comprehensive revision by the members of the PLASTICS Machinery Safety Standards Committee, the American National Standards Institute (ANSI) Board of Standards Review approved the newly revised American National Standard — ANSI/PLASTICS B151.1-2017 – Safety Requirements for Injection Molding Machines — on January 6, 2017. Two of the most significant changes in this new standard relate to the mechanical safety device (aka “jam bar” or “drop bar”) becoming optional for horizontal machines if built to the 2017 standard and the combination of two previously separate standards into a single, easier-to-use standard for both types of machines. Having one standard instead of two will ultimately simplify the manufacturing of these machines in the U.S. The new standard also aligns well with the European and draft ISO standards on this subject, making it easier for American manufacturers to compete with their counterparts abroad. “As the ANSI-accredited standards developing organization for the U.S. plastics industry, PLASTICS is responsible for ensuring that all plastics machinery is built according to important standards that protect workers while achieving efficiency in production,” said PLASTICS President & CEO William R. Carteaux. The effort to revise the standard was led by the Machinery Safety Standards Committee’s Subcommittee on Injection Molding, which is chaired by Jim Pilavdzic, manager, product safety, HUSKY Injection Molding Systems, Ltd. and Vice Chair Larry Keller, chief engineer, Milacron. The Plastics Industry Association (PLASTICS), formerly SPI, is the only organization that supports the entire plastics supply chain, representing nearly one million workers in the $418 billion U.S. industry. Since 1937, PLASTICS has been working to make its members and the industry more globally competitive while advancing recycling and sustainability. To learn more about PLASTICS’ education initiatives, industry-leading insights and events, networking opportunities and policy advocacy, and North America’s largest plastics .